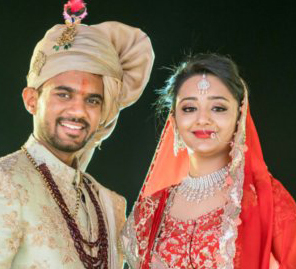 Thanks to their siblings' wedding planning efforts, Neha and Rutesh’s nuptials charmed all with fun functions and delightful decor. Neha and Rutesh’s journey started at a professional seminar - but things progressed quickly on the personal front once they got talking. 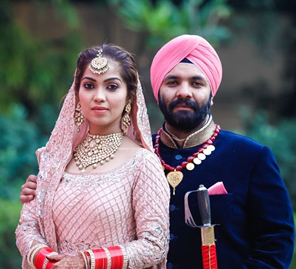 Here, bride Neha shares highlights of the wedding celebrations held in Mumbai which was beautifully captured by WeddingSutra Favorite - Lights and Stories. 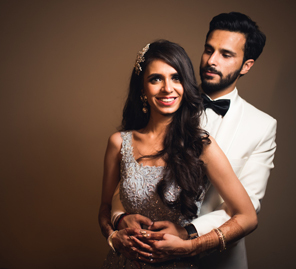 Neha shares, “The decor for our sangeet was elegant and included a lot of fresh flowers.” The couple wanted an evening of subtle elegance with a big dose of glamor, so the decor included rich drapes and warm lighting with plays of light and sparkles. 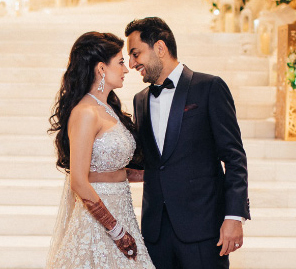 Neha wore a vibrant pink and orange lehenga, and Rutesh donned a sherwani with a cross jacket.